There’s been plenty of hoopla around Omega – 3 fish oil for weight loss and it’s myriad health benefits for more than a decade and on many accounts, the attention is well deserved. Tons of research has been conducted on the effectiveness and safety of Omega – 3 fatty acids for a wide variety of uses and a substantial amount of scientific evidence backs up their efficacy. 1 What are Omega – 3’s fatty acids? 2 How does fish oil help weight loss? 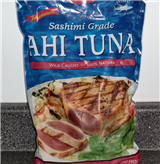 3 Can I get my Omega – 3’s by eating regular food? 3.1 How much fish oil to take? 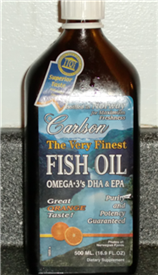 4 Is fish oil the only way to get Omega – 3’s fatty acids? What are Omega – 3’s fatty acids? Omega – 3’s from fish oils are an essential nutrient that have been shown to have a positive impact on almost everything in the body. They’ve been shown to have a positive impact on everything from bone health to brain function, mood improvement, healthy joints, and great skin, hair and nails. Even more impressive, Omega – 3’s play a role in lowering blood pressure, pain and inflammation and in battling diabetes, heart disease and certain forms of cancer. The topic of Omega – 3’s could take thousands of pages so for this article I’m going to whittle it down to their role in fat loss. How does fish oil help weight loss? Several research studies have shown that people who supplement with Omega – 3’s combined with a proper nutrition and exercise program lose more weight than those that don’t take the Omega – 3’s. There are several possible mechanisms thought to assist in the the extra weight lost. One is that Omega – 3’s tend to lower your insulin levels which as you know will tend to help manage your appetite, leading to less calories consumed overall. It’s also been shown that when insulin is lower throughout the day, more body fat is used as fuel. (We wrote a protocol about exactly how to do this, which you can get for free here). Other studies have shown a propensity of Omega – 3’s to increase fat oxidation within the cell (increased rate of fat loss) and decreased fat storage (less fat actually accumulating in the cell means less you’ll need to lose later on). Can I get my Omega – 3’s by eating regular food? Omega – 3 fatty acids are one of the rare nutrients that are difficult to get enough of without using a suppl ement. You can get Omega – 3’s from eating fatty fish like salmon, mackerel, lake trout, herring, albacore tuna, and sardines several times a week, but there’s always a risk of toxicity from mercury. Rather than eating fish daily, adding a fish oil supplement may be a safer way to increase Omega – 3’s because the companies now use molecular filtration to get the toxic stuff out. There’s really no way to know exactly how much fish is too much (toxicity wise) because levels of mercury are variable, but a good rule of thumb is having fatty fish once or twice a week, and just supplement the rest of the time. Much of the current research shows the optimal amount of fish oil to take is 1.5 grams on the low end to 3 grams at the high end. Fish oil for weight loss is usually sold as liquid or in capsules. EPA/ DHA are how Omega – 3’s are commonly referred to on the label. Many fish oil capsules on the market provide 120 mg of EPA and 180 mg of DHA for a total of 300 mg’s of Omega’s. In this case you’d take 6- 10 capsules daily with meals. I know some people who take the whole amount in one shot, but most of my clients who take the capsules prefer to space them out over 3 meals- 3 with a power breakfast, 3 with lunch and 3 with dinner. With that said, I’m a big proponent of the liquid form made by Carlson’s. You can get it in lemon or orange flavor and you don’t really taste fish at all (they deodorize the oil). Capsules tend to give you a fishy after taste and some people get indigestion. Try taking fish oil before bed if you get indigestion. Is fish oil the only way to get Omega – 3’s fatty acids? Actually no, fish oil is the most common source of Omega – 3 fatty acids, but Krill is also a potent source. There’ s a lot of debate as to whether Krill is better than fish oil, but there’s no definitive answer as of yet. Krill oils tout lots of bells and whistles but not sure if worth the price to use exclusively. I suggest rotating your sources and see what works for you. Flax seeds also contain Omega – 3’s but it’s not all bioavailable. They need to be converted in your body, but the process is highly inefficient. 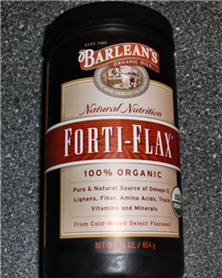 Again, flax has other benefits such as soluble and insoluble fiber so it’s a nice addition to the diet, I just wouldn’t rely on flax as the basis for your Omega – 3’s. Some “guru’s” promote mega dosing fish oil for supposed benefits that simply don’t exist. More is not better- excessive doses can lead to increase bleeding (thinning of the blood), decreased immunity (easier to catch a cold) and fish oil burps. Keep your dosage in the sweet spot and speak with your doctor if you take any medications. Omega – 3 fatty acids are just one of many of our nutritional secrets that make weight loss easier. Belly fat is generally described as a large bulge that resembles a pouch covering the stomach area. Unhealthy eating and lack of exercising are generally what contribute to belly fat. A person may look bloated and the skin in the stomach area is often flabby; thus, creating an unsightly appearance. Proper diet is essential to burning belly fat. Unhealthy oils and fats, excessive calories, and un-nutritional foods contribute to bulging tummies. Luckily, with proper diet management, and fish oil, you can lose abdominal fat fast. To lose belly fat fast, start by eliminating deep fried foods from your diet. Deep fried foods not only contribute to belly fat, but they also contribute to other health problems, such as heart disease. A lot of the fast foods that are offered by chains generally contain half of the recommended amount of calories that should be consumed daily. Some chain desserts sometimes even come close to containing the whole recommended daily calorie intake in one single serving. Avoid eating junk foods, as they will only thwart your progress to lose belly fat fast. Consider supplementing junk foods, such as chips with unbuttered air popped popcorn instead. Most junk food items, such as cupcakes and potato chips supply little nutritional value and contribute to belly fat. Sodas are also deemed empty calories and should be replaced with water or juices that are one hundred percent made from real fruits. Chicken breast or fish filets are recommended for entrée meals and should be grilled without fattening sauces. Fibrous vegetables that are leafy and dark in color offer the most nutritional value for side items. Start by watching your daily calorie intake. Consider keeping a food journal to show progress while you lose weight. Get into the habit of reading product labeling to determine how many calories a serving of a specific product contains. Write down the calories into your food journal after each meal. Understand that the daily recommended calorie intake is generally around 2000. Consider keeping your daily calorie intake around 1500 daily to lose abdominal fat. Bonus Round: Our Resident Body Fat- Sniping Chef and Registered Dietitian, Fiorella DiCarlo, shows you how to make a delicious Omega- 3 packed Italian Seafood Salad!